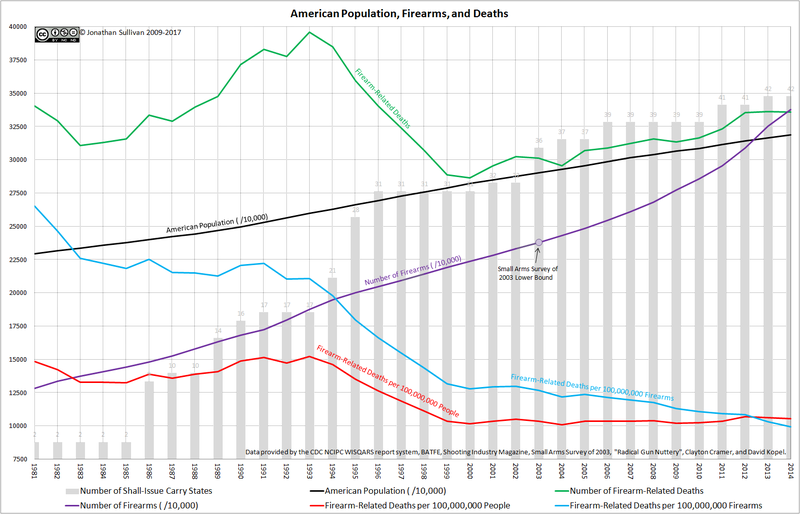 is “gun control” a “health issue”? 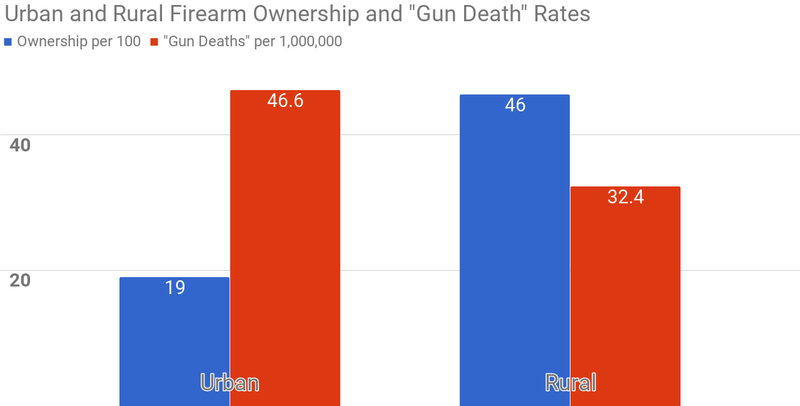 A very few folks have been making a lot of noise recently about how “gun control” – and specifically firearm-related deaths – is a “health issue”. 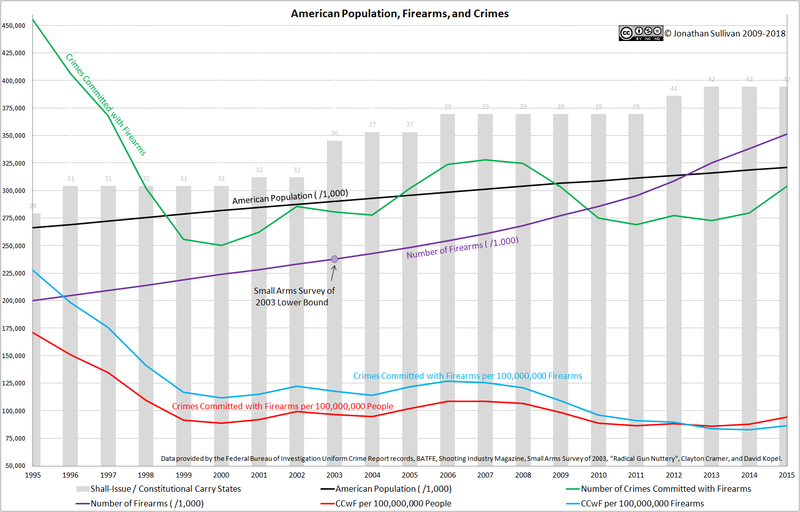 Unfortunately, the analogy falls flat on its face straight out of the gate simply because we only have some, if any, control over the current leading causes of death in America, while firearms are completely under human control. 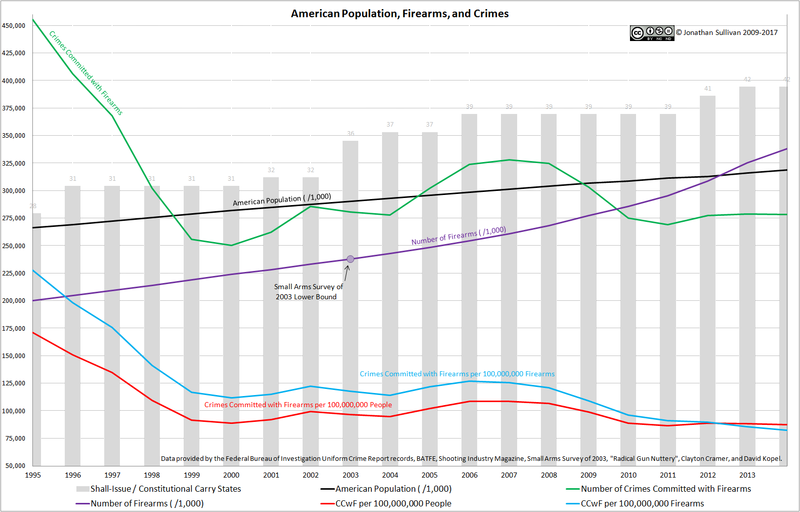 Firearms are not a genetic marker that indicates your brain is going to start destroying itself as you get older – they only fire when a human makes them. Unfortunately, the same cannot be said of diseases/ailments. But if we were to ignore the lacking logical basis for such an argument, do the numbers even come close to supporting it? 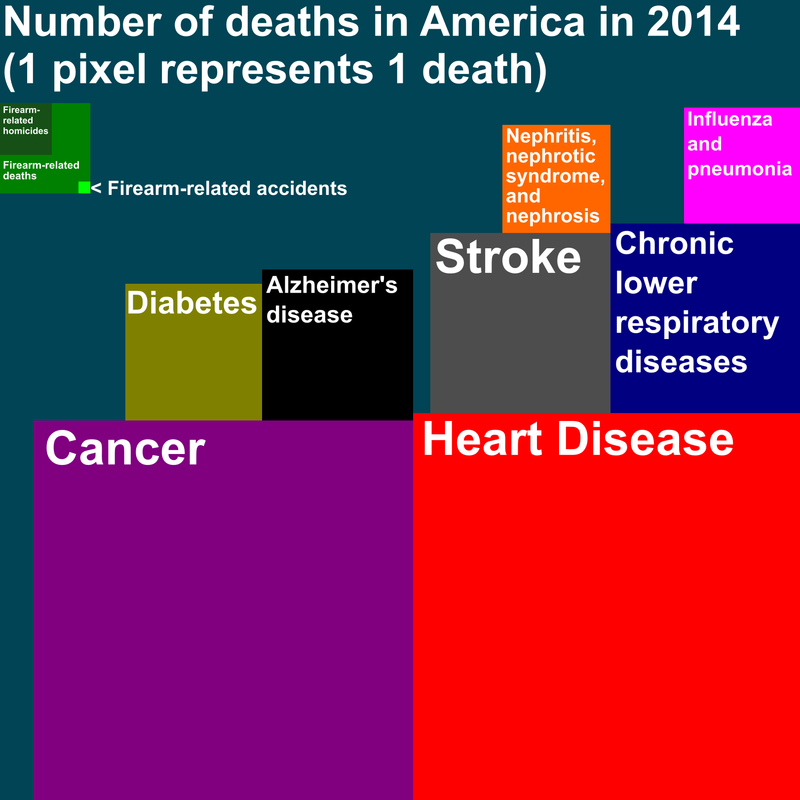 Firearm-related accidents – perhaps the most accurate analog to diseases – are represented by the smallest greenish square inside the slightly larger one, and only account for 586 of the total deaths according to the CDC’s WISQARS system. Even if one were to focus exclusively on firearm-related suicides – since “suicide” as a whole does make the top 10 – those are only 21,334 out of the total 42,773 deaths in that category; almost exactly half. Suicide is most certainly a mental health issue, but even if you were to wave a magic wand and disappear all firearms, countries that have already gone down that path show us that suicides will still find a way. Perhaps, in those cases, time should be better spent determining why people suicide, rather than abridging millions of Americans’ rights in a vain attempt to control how people end their lives? 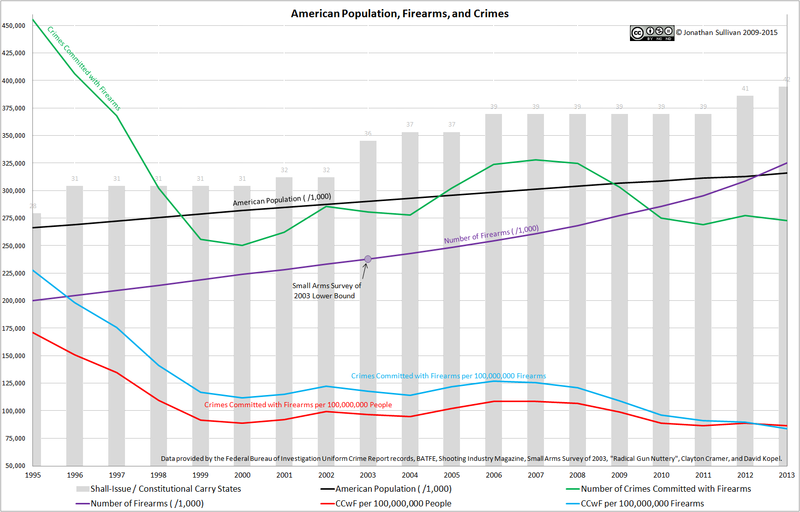 Regardless, as we already know, firearm-related fatality rates are already dropping across the board, including accidents, without doctors’ unnecessary involvement in the politics of the situation. 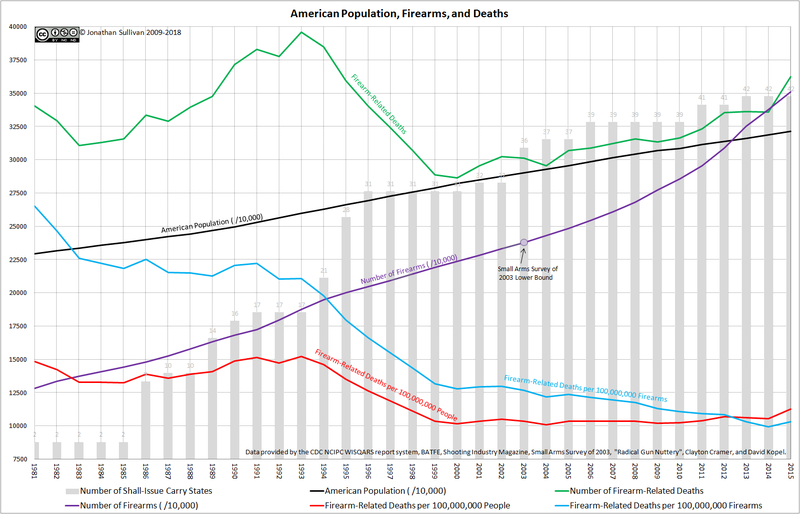 I would suggest that their time is better spent focusing on the other diseases and afflictions in which they are subject matter experts, rather than sticking their noses into topics they know very little about, especially since some of those diseases individually account for an order of magnitude more deaths than people misusing firearms. Author JonathanPosted on March 8 2017 March 10 2017 Categories dataTags accidents, alzheimer's disease, analogy, cancer, cause of death, cdc, centers for, chronic lower respiratory diseases, diabetes, fatal injury reports, firearm, firearm-related fatality, gun control, gun deaths, health issue, heart disease, influenza and pneumonia, nephritis, stroke, subject matter expert, suicide, suicide substitution, wisqars6 Comments on is “gun control” a “health issue”?